Did you know that you don’t have to know much about Scrum to start becoming a fantastic Scrum Master? While it certainly helps to have a basic knowledge of Agile concepts and principles, it’s certainly not a requirement for our ScrumMaster training and certification in Fort Lauderdale, Florida. Unlike other courses that require a considerable understanding of the framework, our course is designed for learners at any stage. So whether you’re brand new to Scrum or you’re experienced and ready to go to the next level, you’ll find the training and advice you need during our ScrumMaster training and certification in Fort Lauderdale, Florida. If you’ve been Agile for a while, you’ve probably experienced how tough it can be to push through a successful Scrum adoption. Of course, it’s even tougher if you are one of the first adopters of the framework within your specific project or organization. While Scrum presents a whole host of challenges, we offer the tools, tricks and proven techniques you need to get started on your way to success. If you expect a few growing pains, they won’t catch you off guard. Remember that every new idea takes time to settle in. While Scrum is often touted as some kind of magic bullet solution, we’ll remind you that there’s no such thing in the real world of business and project management. Scrum can do fantastic things, to be sure, but you can expect plenty of challenges along the way. Remember that Scrum is a whole new culture. Your employees and/or colleagues are going to be going through a bit of a culture shock as old methods are phased out and fresh new Scrum methodologies are introduced. Be realistic and trust that the growing pains are just a sign of good stuff on the horizon. Finally, don’t stress over the results. Scrum can be really fun if you’re not frantic to see immediate changes. 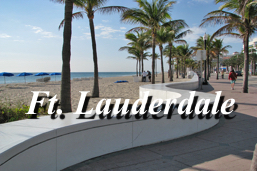 During our ScrumMaster training and certification in Fort Lauderdale, Florida, we’ll equip you with the skills you need to roll with the rough patches. If you can ride out the transition storms, you’ll be well on your way to the phenomenal success you’ve heard and dreamed of. To find out more, get in touch at info@winnowmanagement.com.